Manual blood pressure monitors involves the user pumping the arm sleeve so the monitor can detect the systolic and diastolic blood pressure readings from the arm. 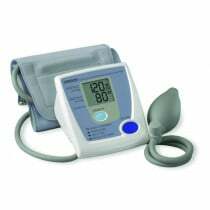 Vitality Medical carries a wide variety of manual blood pressure monitors made by top name brands in the home diagnostic field. These products make it easy for a caregiver to gather blood pressure readings and, if using a digital monitor, store that information for later retrieval. Manually pumping the bulb to tighten the arm cuff. Having specific control over the tightness of the arm cuff to adjust and pinpoint blood pressure readings. Saving blood pressure data if used in conjunction with a digital unit. 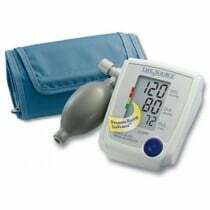 A more affordable option when purchasing a blood pressure monitor.